The purpose of the study was to evaluate the feasibility and efficiency of conservation easements as an alternative to existing policy for mitigating natural hazards by surveying local community perceptions prior to implementation. For this, individual awareness about land-use mitigation tools among local residents of river spaces in the Nakdong River basin in South Korea was investigated, with a particular focus on the willingness to pay (WTP) for cost–benefit analysis. The main lessons to be drawn from this paper are as follows. First, an easement represents a more efficient tool than original mitigation tools from a cost–benefit perspective and based on public preference for hazard mitigation in river spaces. Second, an analysis of the survey data shows that the social characteristics of the local residents affect local community perceptions of the establishment of conservation easements in varying ways. This should be fully considered when conservation easements are introduced in the future to mitigate natural hazards. Finally, the estimated mean annual WTP was 6.4 USD per household, and the total value of easements in the Nakdong River basin was approximately 8.2 USD per year. 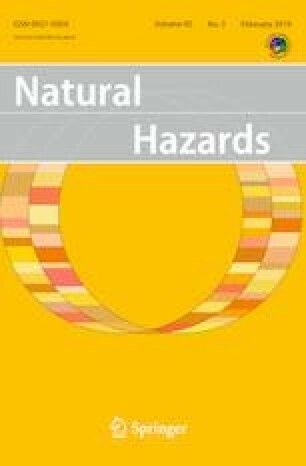 This suggests higher cost efficiency when compared to existing South Korean policy for natural hazard mitigation. This work is financially supported by Korea Ministry of Environment (MOE) as Graduate School specialized in Climate Change.